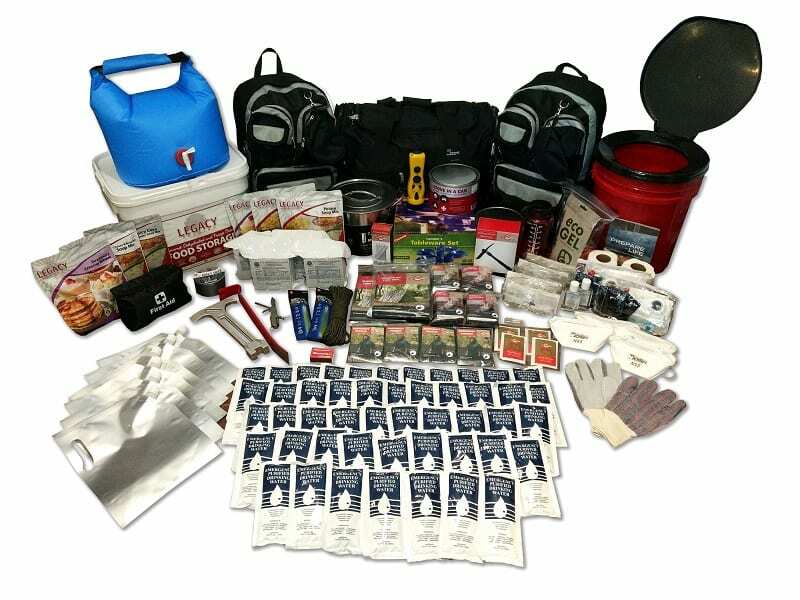 If you live in a rural area, or are preparing for long-term disaster scenarios where 72 hours just won’t do, this 2 Week 4 Person Earthquake Kit is perfect for you! This versatile kit includes freeze-dried food (25 year shelf life! ), water purification tablets, a complete toilet set, Stove in a Can, and so much more! 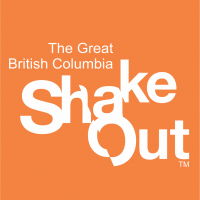 Emergencies are stressful, but with preparation you can minimize their physical and psychological impact. This kit fits inside the included two backpacks, duffel bag, and toilet bucket. During a major disaster it can take first responders 72 hours to get their communication network re-established and for supply lines to be organized. It can take weeks for life to resume some sense of normalcy (sometimes months! ), especially for people living in rural areas – often prioritized below city centers. It is important to prepare in advance for these situations, so you aren’t caught off guard if self-sufficiency is suddenly required. 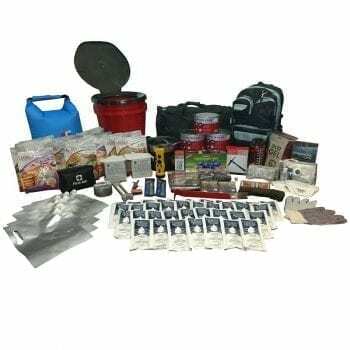 This kit has items to cover all 8 areas of emergency preparedness: water, food, first aid, sanitation, heat, shelter, light, and communication so you can rest easier. This kit includes Legacy freeze-dried food with a 25 year shelf life. This kit can be customized to be gluten free – just ask our friendly customer service team (1-888-832-1733 or [email protected])! The newest addition to this kit is the Stove in a Can, a powerful stove option that can boil water in just 5 minutes! The kit provides 1200 calories per person each day. 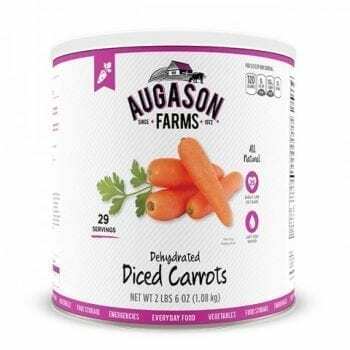 144 – Servings of Legacy Premium Freeze Dried Food – delicious food with a 25 year shelf life!